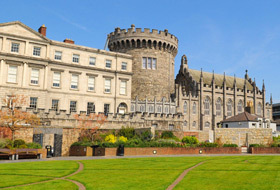 We wish you a wonderful holiday season and a very happy New Year! 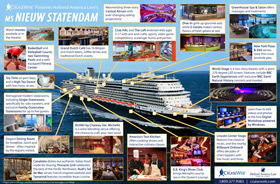 Preview Holland America's next world-class vessel, ms Nieuw Statendam, with The Cruise Web's newest cruise ship infographic! 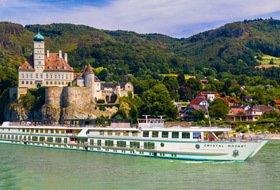 Crystal River Cruises revealed its new Crystal Collection excursions – nearly 200 culturally significant experiences for sailings along Europe's Danube, Rhine and Main rivers. 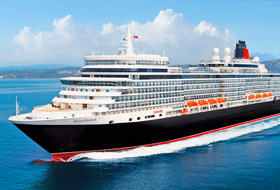 Norwegian Cruise Line recently introduced the 2nd generation of its popular app, Cruise Norwegian. Available fleetwide by the end of 2018, the complimentary app allows guests to book shore excursions, make onboard reservations and much more! 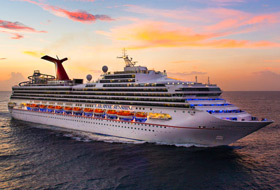 Carnival recently revealed that Charleston, South Carolina will be the new homeport for Carnival Sunshine beginning in May 2019. 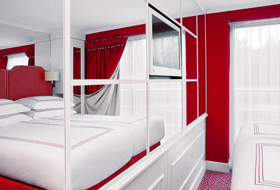 Keep reading to learn about her new itineraries from Charleston! 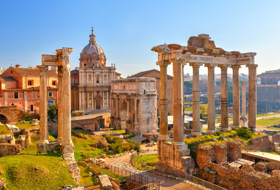 Princess Cruises' next ship, Sky Princess, will make her eagerly awaited 2019 debut in the Mediterranean! Sky Princess will be a sister ship to Regal Princess, Royal Princess and Majestic Princess. Princess Cruises' revolutionary Ocean Medallion has arrived, and with it comes a new level of vacation personalization that's sure to change cruising forever!